2016 Pah Bah Samakkee: Anumodana, ขอบคุณ, ຂອບໃຈ, ឣរគុណ, cám ơn, Thank You! 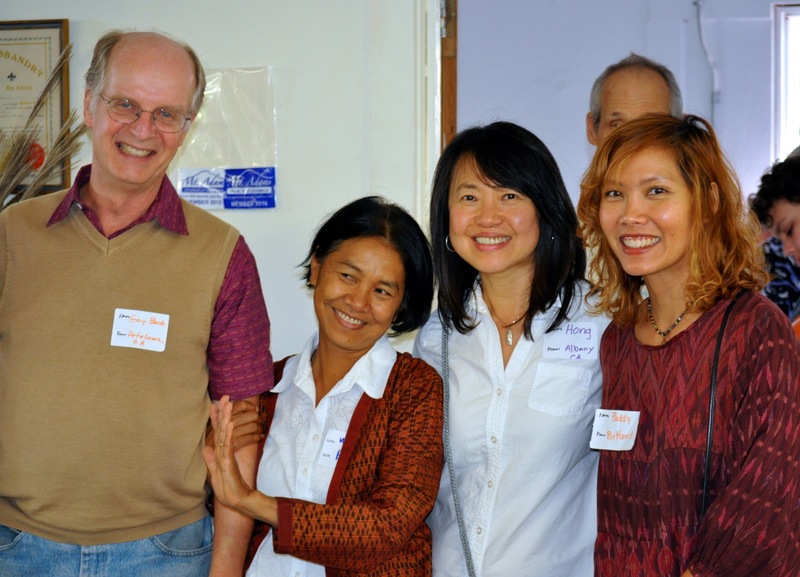 That’s Thank You in Six Languages: Pali, Thai, Lao, Khmer, Vietnamese and English. 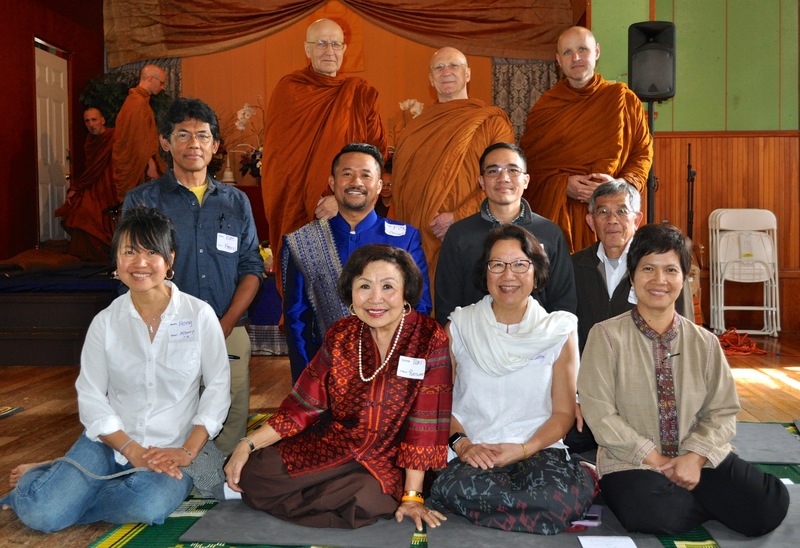 Our thanks to Luang Por Pasanno and Luang Por Viradhammo for sharing their warmth and wisdom. They were generous with their time, speaking one-on-one with many of those attending. Loan is Paid Off Two Years Early! How amazing and wonderful that a small Buddhist Hermitage in the Columbia River Gorge receives this much support from around the world. Over $41,000 was donated (some donations came in after the event). With these funds, the board (Sanghata) was able to pay off the loan for purchasing the property adjacent to the Hermitage. The remaining funds are now available for other key projects and expenses. Thank you so much! Several families came together to sponsor the 2016 Pah Bah Samakkee. 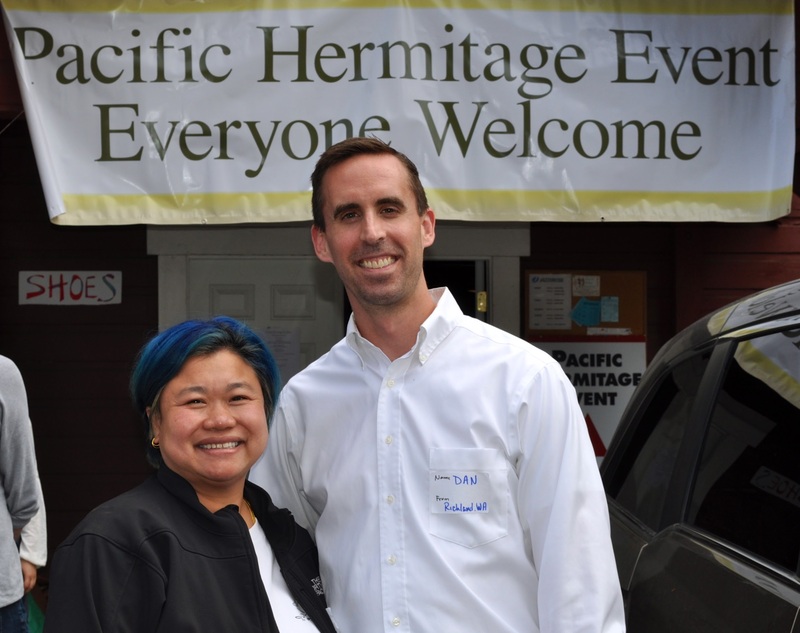 Our thanks to them for helping to spread the word — worldwide — about the Pacific Hermitage. Support indeed came from around the world. Some of the sponsors are shown in the photo below. 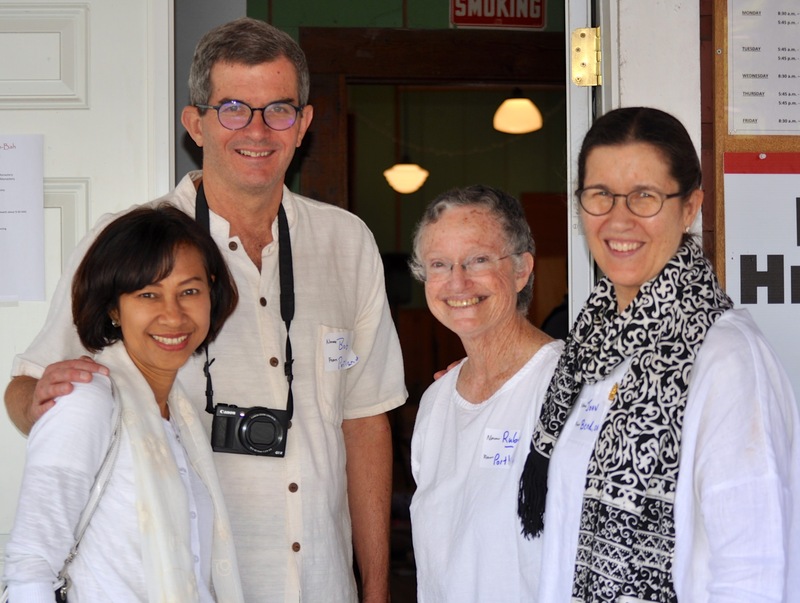 The board is so grateful for this outpouring of support for the Hermitage, as well as the increasing interest in the Dhamma and the various retreats and events associated with the Hermitage. The community is growing. 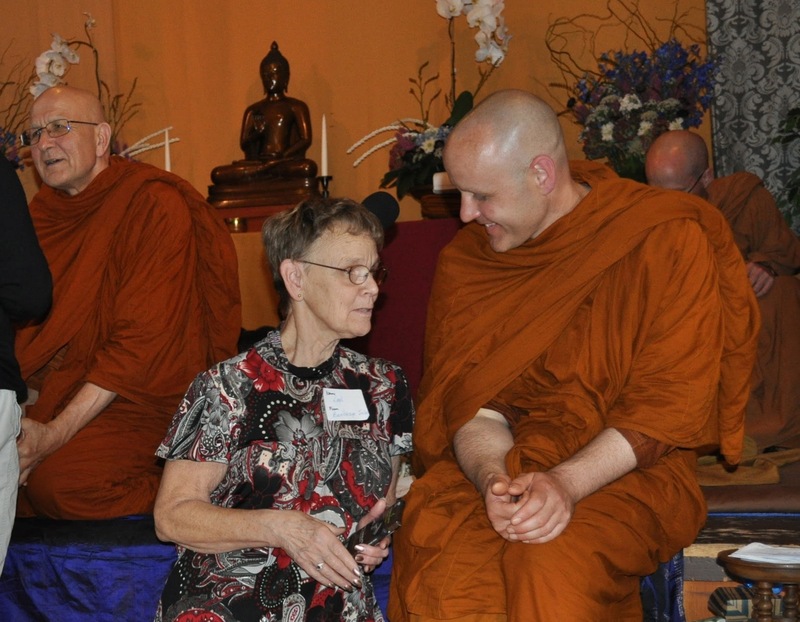 May you all receive the blessings of your generosity, as well as your study and practice of the Dhamma. debie2016-11-11T20:23:35+00:00Announcements|Comments Off on 2016 Pah Bah Samakkee: Anumodana, ขอบคุณ, ຂອບໃຈ, ឣរគុណ, cám ơn, Thank You!